Plus 27 minutes of new footage. 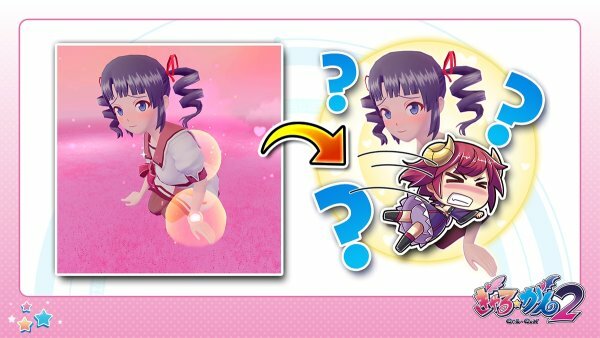 Inti Creates has released new Gal Gun 2 information and screenshots detailing the game’s new Defense and Search Missions, and Doki Doki Mode. 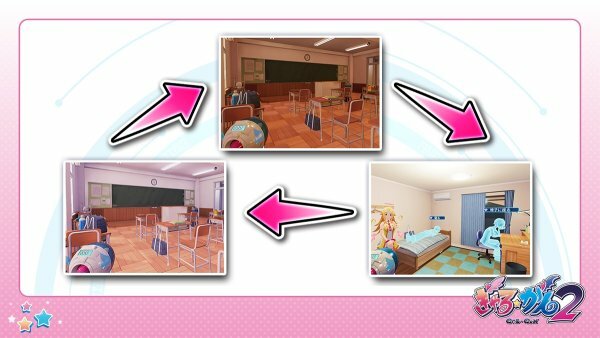 In Gal Gun 2, you will progress by handling the requests of girls troubled by mischievous demons. Each time you attend school and take on requests, time will pass, and when the day turns to night, you will automatically return home. The goal is to collect Demon Repel Points while repeating this cycle until the cutoff date. There are several types of requests you may receive from the girls. Requests with a bow-and-arrow icon are standard shooting stages. By resolving requests, in addition to earning receive Demon Repel Points, you may also get a thank-you from the person who made the request. Requests with a shield icon are “Defense Missions,” in which the objective is to protect the girls from demons. 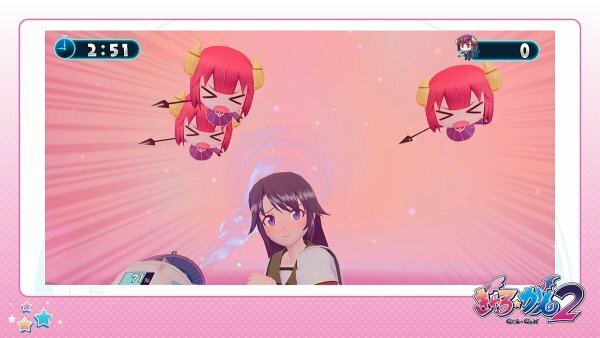 The girls have an HP bar displayed over their heads, and if the demons poke at them with spears, or attach to them to absorb their health, the HP bar will gradually decrease. There are things scattered all over in order to protect the girls. Always pay attention to your surroundings as not to miss a demon’s appearance. 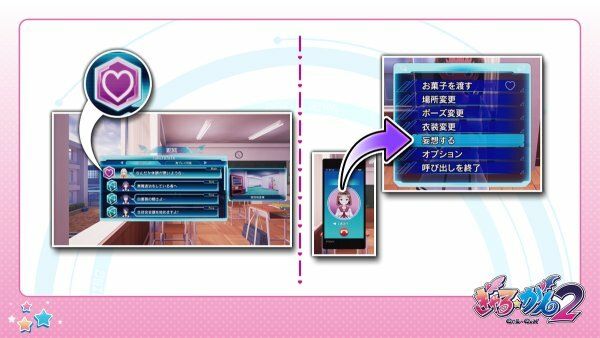 If all the girls’ HP bars become zero, it will be game over. If you are able to withstand the attack of all the demons, you will clear the stage. Requests with a gift icon are “Search Missions,” in which the objective is to find items hidden somewhere on the map. There are several points on the map where you can move. The number displayed above a movement point is the number of items hidden in that area. Items are hidden behind movable objects. Move obstacles by shooting and sucking them up to draw out the items. 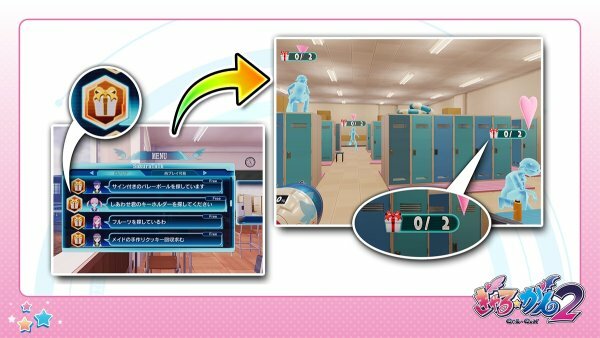 In addition to items, stages also have “Mini Demon Summon Traps” and “Girls Looking Around.” If you are found by Mini Demons or girls, they will call upon their comrades. Caution is advised since you cannot pick up items while dealing with them. If you find all the items within the time limit while avoiding various traps, you will clear the stage. 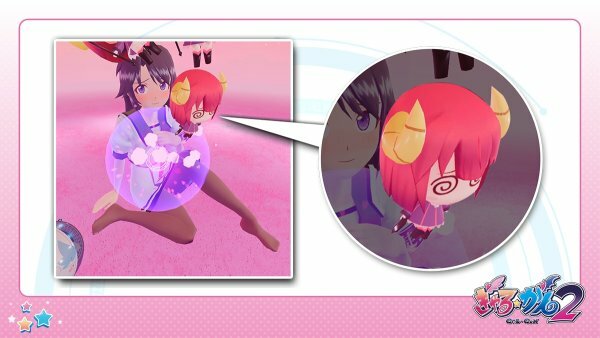 In Gal Gun 2‘s “Doki Doki Mode,” the objective is to drive out the mini demons hiding in the bodies of girls. 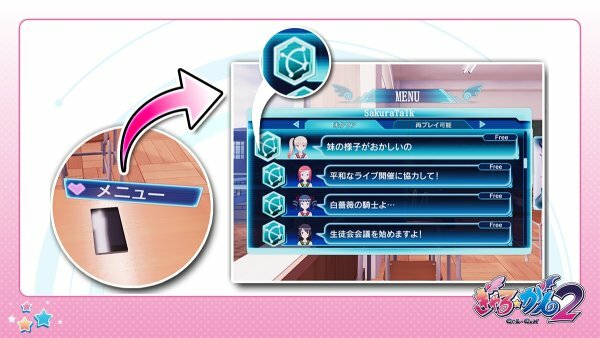 These missions are received through request with a heart icon, or by calling a girl and selecting the “Delusion” option from the caller menu. First, smoke out the mini demons hiding inside the girl. Anywhere is fine, so shoot the girl’s body with Pheromone Shots. If there is a demon near where a shot hits, a ripple effect will occur in that area. By shooting the area where the ripple effect occurred, a Mini Demon will jump out! Shoot the girl again and again with Pheromone Shots to drive out all of the demons hidden within her! Sometimes demons will even be hiding in the girl’s backside. It is important to go around the girl’s back and check. As usual, the demons you drive out should be exterminated with shots or by sucking them up before they escape. Repeating this process to exterminate as many mini demons as you can within the time limit. By quickly exterminating the mini demons, you will enter “Sensitive Time,” where even higher-grade demons appear. If you drive out all of the mini demons from the ripple points that appear during Sensitive Time, something amazing might happen! Please look forward to it. 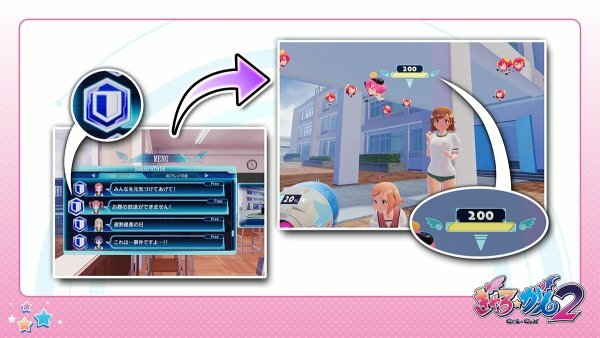 The third episode of Gal Gun 2 TV was also live streamed yesterday, and featured over 27 minutes of new gameplay footage. Watch that below (from 19:07 to 46:09). View the screenshots at the gallery. 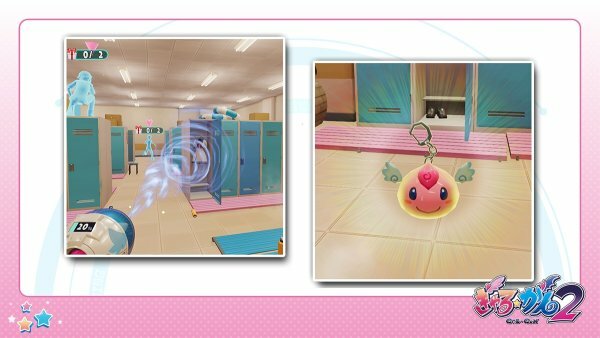 Gal Gun 2 is due out for PlayStation 4 and Switch in Japan on March 15, 2018, and in North America and Europe this spring. Read more about the game here.